There are three (relatively) clear events that Jesus identifies here: first, the darkening of the heavenly bodies (quoting Isaiah); second, the visible arrival of Christ, the Son of Man (esp. v.30); and third, that these things will happen within the lifetime of the present generation (v.34). End times speculation, despite Jesus’ specific warning (that nobody knows the day or hour of his return—v.36) and exhortation (to live faithful lives as if the return could be any moment—v.42-44), has flourished, and this passage has been a frequent victim of misguided exegesis. A part of the confusion stems from the nature of end-times speculation, but another part from the reality that this is a highly layered and textured passage. I cannot treat the whole in depth at this time, but for today’s purposes I want to focus our attention on Jesus’ quotation from Isaiah and what that means for the end times in light of Biblical Theology. Regarding Matthew 24:29—the darkening of the sun and moon with the falling of the stars—I have understood there to be two broad interpretations. The one I grew up with was a literal darkening; that the cosmic order would itself collapse with the return of Jesus and that the demise of sun, moon, and stars would be a herald of the parousia. The popularity of this interpretation is no doubt linked to its powerful imagery; we can easily picture this happening. 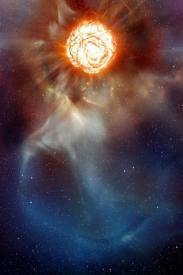 Consequently, it shows up in our interpretations of the event—even good interpretations such as C.S. Lewis’s The Last Battle (which had a profound and lasting effect on my young eschatology). The other interpretation, which I encountered as I grew in awareness of critical scholarship (‘critical’ here meaning thorough, not skeptical), is that the darkening of the heavens is a prophetic image which identifies the symbolic, and not literal, end of the cosmic order. Let’s consider the two places in Isaiah where this message of cosmic disordering occurs, and from which Jesus has likely drawn his source. Isaiah 13:9-13 is a passage of cosmic judgment—the sun, moon, and stars are darkened as a preamble for the revelation of God’s judgment against mankind when God will “destroy sinners” and “make the land desolate.” Isaiah 34:1-17 is the same message, although judgment is preached against “the nations” and the dissolution of the cosmos is combined with the image of the fig tree dropping its fruit (v.4—which echoes Jesus fig tree reference in Matt 24:32). Clearly, the context Jesus wishes to evoke by quoting this passage is that the final judgment of all the people who oppose God’s ways (both sinners and the nations) is at hand. Other Old Testament passages that speak of the sun, moon, and stars cast even more light on Jesus’ meaning in Matthew 24. Genesis 37:9ff documents Joseph’s prophetic dream wherein he saw his father, mother, and brothers as the sun, moon, and stars bowing down to him. He foresaw a reordering of his family, where a younger son was given the authority over all his family (in some violation of the present cultural order). Deuteronomy 4:19 admonishes Israel against worshipping the heavenly bodies as the other nations do. Psalm 148:8 describes these heavenly bodies worshipping God themselves. And Jeremiah 8:2 predicts judgment against the people who have worshipped these heavenly bodies, rather than God—they will get what they have worshipped (that is, nothing at all). Now, given these Old Testament referents (referents which no doubt strongly inform Jesus’ use of this passage), it seems that our interpretation could go both ways. There may, or may not, be a catastrophic cosmic dissolution. The events are clearly symbolic of other realities (judgment and reordering, to name two), but these passages alone do not permit us to determine whether it is a metaphorical or literal occurrence. But one further passage casts a different light on this whole meta-structure of Biblical thought on the sun, moon, and stars: Genesis 1. Many have observed an implicit oddity about that passage—that light is created on the first day, but that the sun, moon, and stars do not appear until the fourth day. This has troubled many. Knowing, as we do, that light is generated by the sun, for some it testifies to the implicit falsehood of the creation story. Others have sought to reconcile this account with science by appealing to the science of planet creation, observing certain kinds of atmospheric coverage that would block visible light but allow other forms of radiation. But no solution draws near to John Walton’s in simplicity, consistency, and elegance. 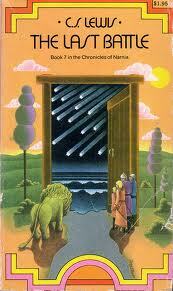 He observes in The Lost World of Genesis One a parallelism between days one and four, two and five, and three and six. That the first three days mark the creation of cosmic spaces, and the second three days populate those cosmic spaces. Let’s view these in reverse in order to make it clear—day three is the creation of the ground, and day six is the creation of the animals that populate the ground (both beasts and man). Day two is the creation of the sea and sky, and day five is the creation of the fish and the birds. And day one is the creation of time, and day three the beings that govern (or populate) time. This may seem strange at first, but step for a moment into the mind of an ancient person and this will become imminently clear. How do you measure a day? By the light of the sun. How do you measure a month? By the phases of the moon. And how do you measure the seasons? By the light of the constellations in the sky. The sun, moon, and stars are the bodies God has created (they are not deities themselves) and they govern our days, months, and seasons. With this in mind, let us return at last to Matthew 24, and I think we will perceive Jesus’ words in the fresh light of a biblical cosmology. 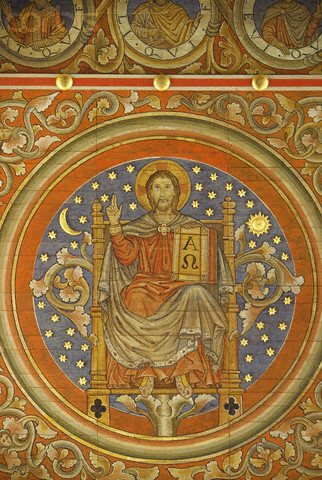 We should note, first, that immediately after the darkening of the heavenly bodies, in verse 30 Jesus says that “At that time the sign of the Son of Man will appear in the sky, and all the nations of the earth will mourn.” And the image is that as the old cosmic order sets, the new cosmic order of Christ rises. That Christ’s coming on the clouds with power and great glory is the dawn of the new cosmic era, the next age of the created order. That no longer will the sun, moon, and stars determine our times—whether as beings under God’s creation or the falsely worshipped deities of other nations—but Christ alone shall be the measure of our time and existence. That Christ will be the supreme measure of all things, for all time (Eph. 1:19-23). That all the nations will mourn because the rise of Christ is the enthronement ceremony of the highest judge, the Day of the Lord, the last, unending, inescapable day of God’s great reign in Christ. That in the city from which God reigns there shall be neither sun nor moon, for “the glory of God gives it light, and the Lamb is its lamp” (Rev. 21:23). The darkening of the heavens means that the old order has passed away, and that the new order has come in Christ. A final word is in order, because Jesus promises in Matthew 24:34-35 that the present generation wouldn’t pass away until “all these things have happened.” And we must recognize that in the resurrection of Christ the new order of things has begun, his reign has started, and that with his Ascension Jesus Christ was raised into the clouds and seated at God’s right hand. We still wait for his final return, but the end times have begun and we are in the midst of them. Our attention must not focus on current events, earthquakes, wars, rumors of wars, or false christs, but at all times on Christ the Risen One, who rises over our universe as its final authority. Jesus’ use, then, of the image of the darkening of the sun, moon, and stars identifies not, primarily, a literal cosmic event, but the literal rise of Christ as the supreme ruler of all. And even as Joseph saw the heavens bowing to him in a dream, Christ will see all bow to him in reality. One day, perhaps, the sun and moon will truly fall from our sky—heaven and earth may pass away—but regardless of those events, for those of us who follow Christ he is even now the sun who gives light and measure to our lives, who governs our times, who is the perfect and merciful judge of all, and to whom we owe our total worship. This entry was posted in Eine Kleine Exegese and tagged Biblical Theology, Christianity, Eschatology, Genesis 1, John Walton, Matthew 24, Misinterpretation. Jeremy : This is a unique take on the passage. If I am understanding you correctly you see the cosmic language as symbolic of the reordering of authority in the universe. Those things which once governed human existence as inferior to Christ as King. Your appeal to Ephesians and Revelations certainly substantiates the possibility that the early church was thinking in these terms. How does the jive with vv. 30-31? Is this in line with the previous symbolism? How would you interpret the sign in the sky and language that seems to be about the Second Coming? For the record, I still believe in the imminent parousia of Christ, and I don’t think the position I’ve presented is at odds with that. As to verses 30 and 31, having the sign of the Son of Man appear “in the sky” corroborates my interpretation, but also is a testimony to the unmistakable visibility of Christ’s return. It is a word in line with 24:32 (that as you know the seasons so you shall know Christ’s coming) and 24:27 (that as the lightning is visible across the sky, so the Son’s return will not be mistaken for anything else). Notable here as well is the Daniel 7 reference in v. 30, which also identifies Christ as Judge of the earth, as YHWH’s appointed servant, and as the cosmic sign of God’s saving/judging return to his people. Still, the whole passage needs to fit within the already/not-yet framework: Christ is risen, Christ is King, Christ is coming back.He reigns, but we live within a period of grace while awaiting the final judgment. That seems to be the witness of the scriptures, the creeds, and the fathers as well. Hey Jeremy, good post. I think you’re right on with the notion of cosmic reordering, a passing away of the old order and beginning of the new. Now, play around with this further thought: the fulfillment of Jesus’s prediction came in AD 70 (roughly 40 years later, within the lifetime of the generation in question) with the destruction of Jerusalem. The old order of the Temple and the Old Covenant utterly passed away, and the new age of the Gospel and the Church, the Kingdom, which had begun with first Advent of Christ, was fully established. If you like Josephus, he gives plenty of evidence for cosmic signs and so forth during the siege and destruction of Jerusalem. Of course, if one really begins thinking in those terms, that these words are really fulfilled in AD 70, then one is led to believe that in some meaningful way, Jesus did indeed return in judgment at that time… and then we’re left trying to figure out what our long term future expectations should be about imminent return, etc. Yeah, I haven’t really settled that one yet. Thanks for stirring my thinking!